Our Care Funding Service is focused on taking the time to fully understand your needs and objectives, working with your own financial resources and State benefits. 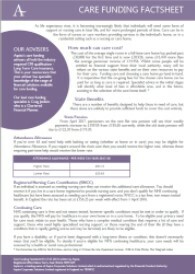 Aspira’s care funding advisers all hold the industry required CF8 qualification - Long Term Care Insurance. This is your reassurance that your adviser has specialist knowledge of the range of financial solutions available for care funding. What will our Care Funding Service achieve for you? We will help you to understand all the options to ensure that care can be funded in the most efficient way. 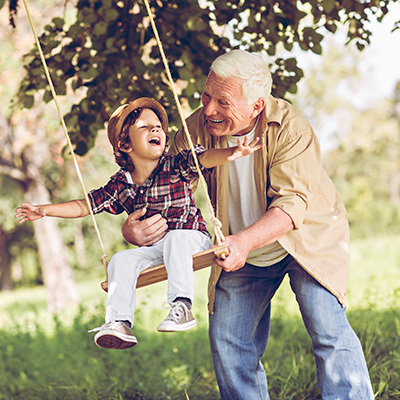 So you or your loved one can move into your chosen care home with the knowledge and comfort that the future is secure. If you'd like further information please get in touch, have a look at our factsheet below or view our case study.